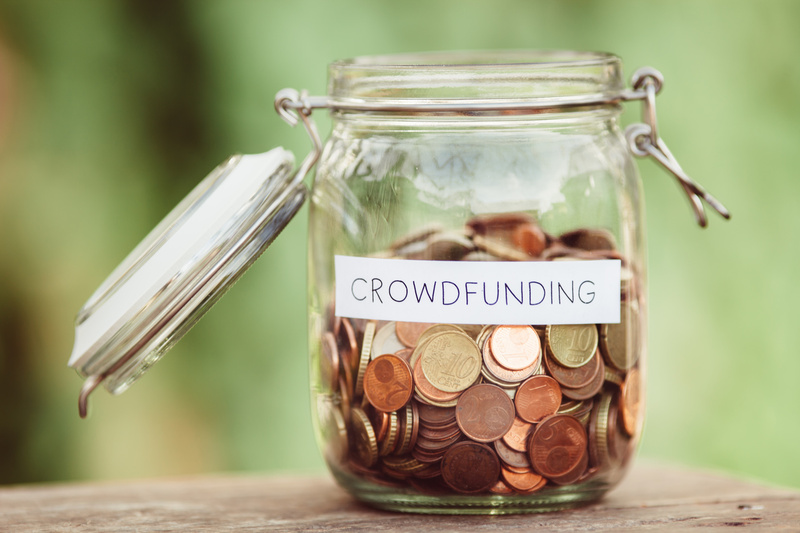 Crowdfunding refers to entrepreneurs seeking relatively insignificant financial contributions from a large number of people, often via social media or other internet networks, to fund the start or growth of a business venture. According to one report, more than 600 crowdfunding sites exist and raised billions of dollars for various types of businesses in 2015 alone, worldwide. Selling company shares via crowdfunding sites. Crowdfunding can often be easier than obtaining venture capital financing, angel investors, or traditional bank loans. Because the contributions tend to be smaller, there is less risk in investing in an idea, as contributors generally expect little – or perhaps even nothing – in return. Some crowdfunding investors simply believe in a particular idea and are willing to contribute. Sites such as Kickstarter can also make setting up a crowdfunding campaign fairly easy to do. While initially setting up a crowdfunding campaign may be relatively simple, running the campaign and successfully soliciting contributions is often not as easy. You will have to spend a significant amount of time online, reaching out to your network and on social media. Generally, only businesses that have an inspiring story and interesting product or service will garner enough attention to successfully crowdfund. Many sites require you to raise a certain amount of money before they collect any funds for your business. Therefore, you must come up with a crowdfunding goal that you believe you can reasonably achieve but that is also enough to fund your venture. You do not want to later discover that you do not have enough capital to make good on any promises you made to investors. If you are starting a business and would like to learn more about the crowdfunding process and discuss whether it is right for your company, you should not wait to consult with a skilled Silicon Valley corporate attorney at Structure Law Group, LLP. We assist businesses of all sizes, from start-ups to established corporations to raise the capital they need in order to grow. Call today at 408-441-7500 or fill out our online contact form.